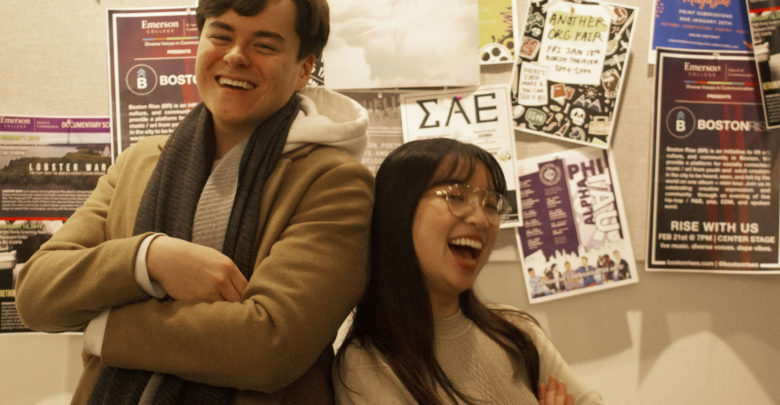 Senior journalism major Tay Thai discovered her purpose at Emerson during her Digital Storytelling class—to promote artists from her hometown of Brockton, Mass. As a person who considers herself connected to her roots, Thai wanted to give a platform for local artists to be discovered. Thai created ImaginBrockton, a digital gallery for local artists like rappers, producers, actors, and painters to feature their work. Thai already had the idea for an Instagram page ready when she was assigned in class to use social media as a medium of storytelling. She partnered up with her friend, Co-creative Director Joshua DeGuzman, a sophomore visual and media arts major. Together, Thai and DeGuzman combine skills from their majors and interests for the project by having Thai interview local artists and DeGuzman handle the video and photography aspects. They film interviews which then go up on the gallery. Although the digital gallery focuses on Brockton artists, Thai said she may want to expand to other towns in New England and go beyond interviewing artists. A little over a week after ImaginBrockton’s Jan. 19 launch, Thai and DeGuzman already have 30-40 artists scheduled for interviews. They plan on holding interviews for ImaginBrockton nearly every weekend in the Cabaret and the Huret and Spector Gallery. Freshman performing arts major Zeiana Andrade is one of the subjects featured by ImaginBrockton. Andrade lives in Brockton and performed a monologue on ImaginBrockton’s Instagram, accompanied by a headshot with a small biography. Thai said she likes to use the phrase “by artists, for artists” to describe her project. Thai and DeGuzman both describe themselves as artists. Thai designs clothes and writes, while DeGuzman also designs clothes and is a visual artist. Thai said creativity was an important part of their identity, and they wanted to incorporate that into the project. When DeGuzman photographed music producer Isaiah Valmont, a 20-year-old University of Massachusetts Amherst student, he used a water bottle to create a prism-like effect on the photos. ImaginBrockton is Valmont’s first stint of publicity. His interview garnered over 900 views on the ImaginBrockton Instagram page, and over 500 on his personal page. DeGuzman said they want to include and reflect an artist’s voice and talent through videos. 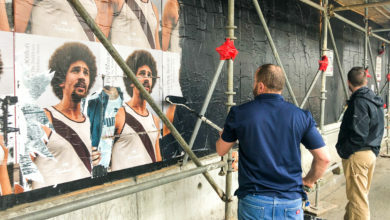 He said ImaginBrockton’s purpose is not to only showcase artists to the world, but to connect them with other local artists. Thai and DeGuzman agree that being in a community is an essential part of art. “Art doesn’t stand by itself. You can’t make art without love and support from other people,” Thai said. DeGuzman is originally from Bridgeport, Conn., which he believes is very similar to the environment Thai grew up in. Describing themselves as multidisciplinary artists, Thai and DeGuzman said they want to incorporate other hobbies and possibly develop a company where they could create merchandise with supporting artists. “I think that’s what is beautiful about this project, is that since it’s something that’s coming from my home and my heart, it was easy to connect to these artists,” Thai said. Thai and DeGuzman are using their own equipment for the interviews and photoshoots, but they plan to start a Kickstarter to raise funds to support their project. DeGuzman said they believe that producing quality content is the path to get followers and sponsors. Thai believes that a project like this is essential on a campus like Emerson.